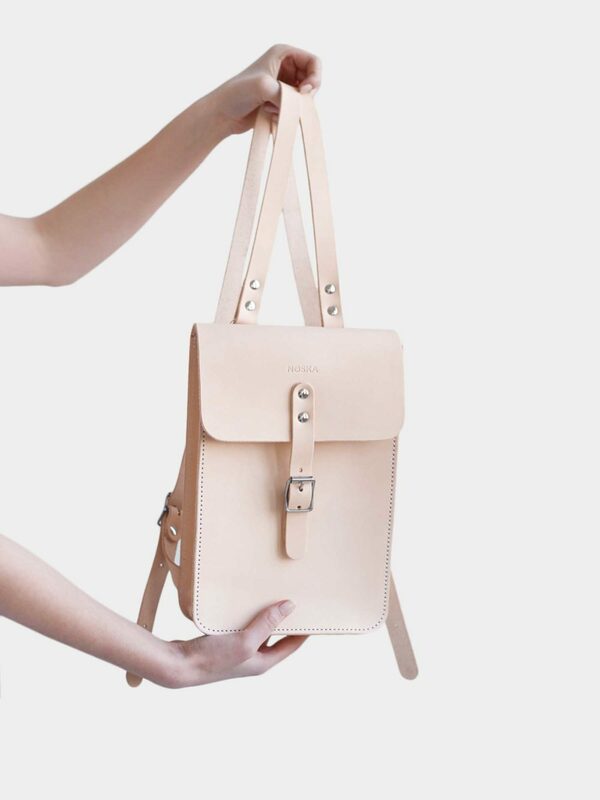 Made of sturdy, vegatable-tanned leather, Noska Large backpack in natural colour is designed to function for your daily needs and develop individuality with the passage of time. Carefully handcrafted in Poland, this unique one compartment backpack fits a variety of objects from your laptop to your notebook and everything else you usually carry around. The streamlined exterior has two reinforced and fully adjustable straps and Noska imprint at the front. The inside of the bag is left exposed to show the natural beauty of the leather which will naturally soften over time and give your backpack unique character. 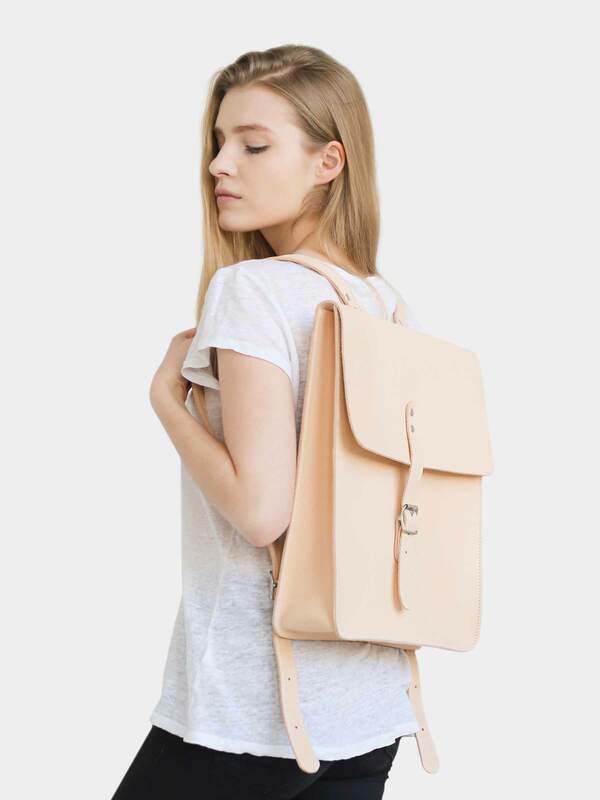 Made of sturdy, vegatable-tanned leather, Noska Large backpack in natural colour is designed to function for your daily needs and develop individuality with the passage of time. Carefully handcrafted in Poland, this unique one compartment backpack fits a variety of objects from your laptop to your notebook and everything else you usually carry around. The streamlined exterior has two reinforced and fully adjustable straps and Noska imprint at the front. The inside of the bag is left exposed to show the natural beauty of the leather which will naturally soften over time. Leather colours naturally change and darken over time. With the passage of time your backpack will develop a distinct and unique character.